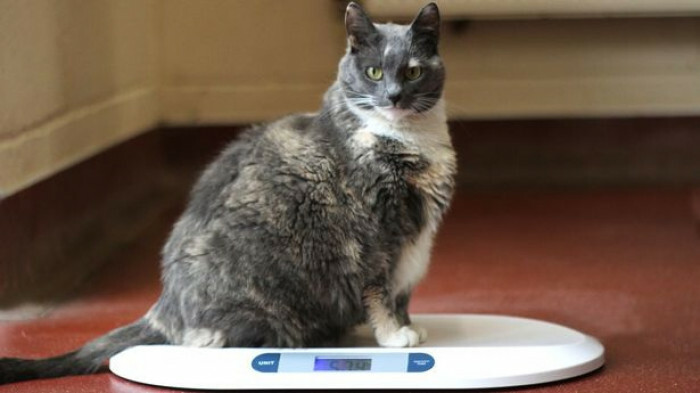 When Mitzi the cat arrived at Woodside Animal Welfare Trust in May 2017, she weighed in at 7.7kgs, making her one of Britain's fattest cats! 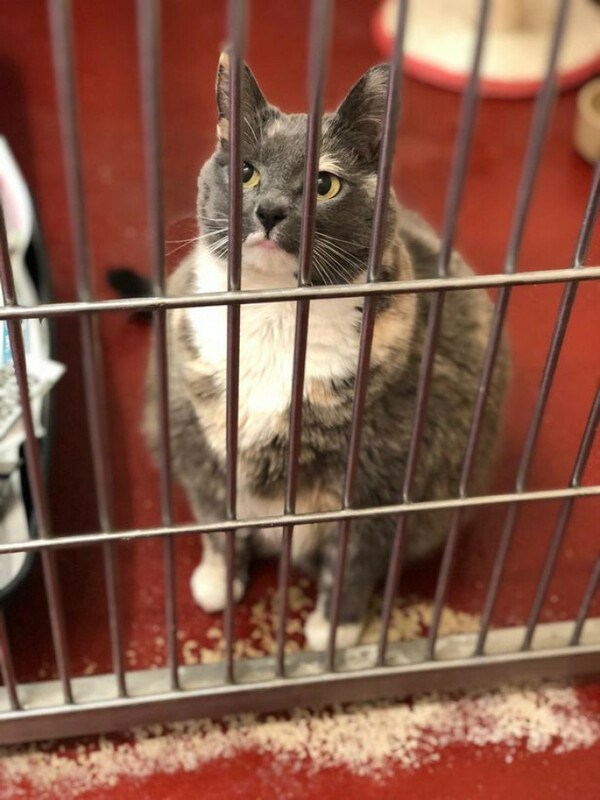 The caring staff at the Plymouth animal shelter were quick to put the tubby feline on a weight loss plan when they realized she was almost double her recommended weight. An average house cat should way around 4.5kg. Mitzi was quick to find a new home but was returned to the shelter when her new owner became overwhelmed by Mitzi's challenging needs. Since then, Mitzi, who is thought to be around 8-years old, has been re-homed a further three times unsuccessfully. 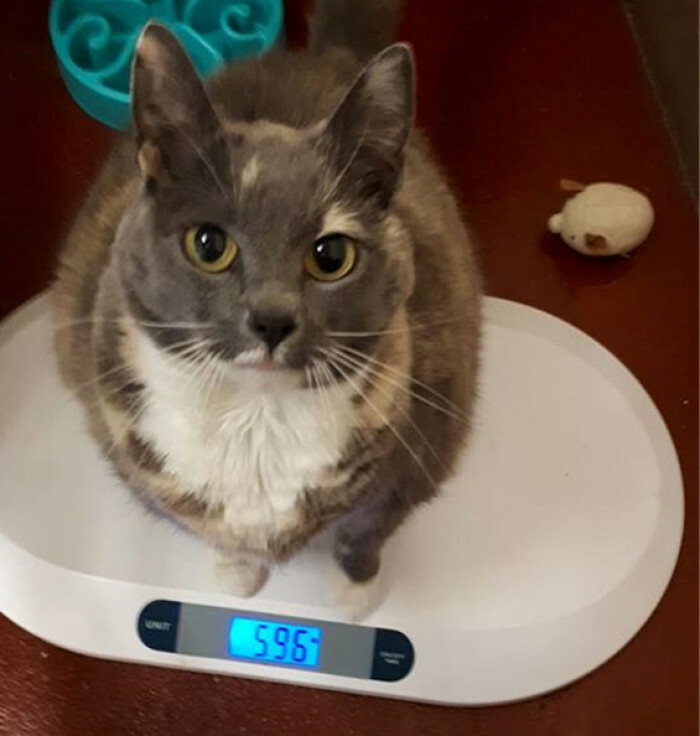 Mitzi has slimmed down to 5.48kgs since being back at Woodside, but according to assistant manager, Lisa Darcy, it is much harder for a cat to lose weight at a shelter. Being unsettled and having so much instability in her life has understandably caused Mitzi to become rather grumpy. Mitzi's preference is a child-free home where she will be the only furry friend, and she will be given the extra care she requires.